Yeah it is a false positive, this happens with all Bat2Exe programs (i have tried demo's of 4 or 5 different programs and all of them give loads of false positives) which is a real shame. The only way so far i have found of making a BAT to a EXE is first using BAT2COM then using COM2EXE and the output is a EXE that isnt a detected as a virus by any virus scanner. Also Covarr i made a DLL for anycd so now you shouldn't need to have that in the BAT file anymore (as long as they use the DLL version) since my DLL can be loaded into FF7 with Aali's driver. I'm well aware, I use the DLL myself, but I'm sure some people didn't bother to download it since they already had the launcher, and it's no effort and only a tiny filesize difference to just keep compatibility with that. I'm having a strange problem with this. I ran the installer and the progress bar says "FF7 is located at:" (the installation dir), but nothing else has happened for about 10 minutes. My system is a Windows 7 x64. Does it just take a while to unpack the music, or have I done something wrong? Should I run it from the game folder? My game is patched 1.2 and I have installed/tested Aali's driver. No other mods applied. Thanks for making this, by the way. Edit: I kept trying various things with the installer, with no luck. I decided to watch exactly what it was trying to do with ProcMon, and found that it was looking for an invalid path- it's looking for FinalFantasyVI, with a missing "i". It spams this error forever, without giving up. I haven't determined yet whether this is the installer's fault, or if perhaps something in my registry is screwed. I did kind of do a hack job to get this game installed on 64bit Win7, involving manually copying the entire install (registry keys et al) from a virtual box, to my real system. Don't judge me, it worked perfectly. Lol. I'll update again after I check my keys. Mnnnnnope... my keys appear to be fine. So uh... the installer is broken, I think? In any case, I'm reading the manual installation tutorial now, so I should be able to get it working. I'll leave this post here in case you decide to investigate though. By default, FF7 throws a final \ at the end of its registry key. Unfortunately, NSIS throws a tantrum at this because it tries to add its own when using that path. To compensate, I automatically remove the last character from that string. Like an idiot, I didn't tell it to check what that character is, so if you're missing the closing \ then it will delete an important letter character instead. I'm fixing it right now, but if you want to use the current version of the installer then just go into the registry and add that \ to the key. Full installer (MegaUpload, 373MB) - What you've grown to love! This includes the whole thing, just like previous versions. Minimal installer (MediaFire, 2.77MB) - No remastered OST, just PSFs. Perfect if you just want the PSFs. Also great for updating, since it's much smaller; just install right over the top of a previous install! Special 4th of July sale: Up TWO version numbers for the price of one! Fixed a rare install bug, should solve Moogie's problem. Fixed false positives in crappy antivirus software (though I still recommend against any av that is dumb enough to think it was a virus). Turns out the steam overlay never worked. Whatever. This is a lie, it works just fine. Shouldn't that be in the 1.6 and 1.7 changelogs? Steam Overlay when using FFVIIMusic works for me by the way. 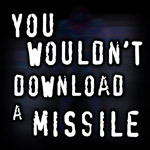 Yeah, it's always worked, just not with the included launcher exe as far as I know. Anyway, if it worked before, I broke it in the name of fixing that a/v false positive. I'm gonna check out AutoIt alternatives, such as AutoHotKey, later this week to see if I can get it working. edit: I didn't break it. Evidently a last minute tweak I made for some other reason fixed it. JOY! Got a problem with the newest launchff7.exe with win7 x64. For some reason, it forces me to always switch tasks away from FF7, and I have to use FF7 music separately. If I don't, it will constantly push me to the desktop whenever I try to play. That's odd. I use Win7 x64 myself, and it worked just fine in my tests. If you're comfortable looking around in your registry, could you check a few things for me? Does the key HKEY_LOCAL_MACHINE/Software/FF7Music exist? If so, is there a value called InstDir? If it doesn't exist, or if the value is missing, does HKEY_LOCAL_MACHINE/Software/Wow6432Node/FF7Music exist? I'd appreciate it if someone else could verify if they're having this problem too, and what OS they're on (especially mention if you're using 32-bit or 64-bit). After running your installer, I had to open FF7Music and manually add the Input and Output Plugin paths under the Setup tab. Great work! I really like your launcher. A tip with anyone who want use this mod with Plugin like Speedhack. Put launchff7.exe to folder where you install ff7, change directory of shortcut on desktop and it's will work fine. Huh, that's really weird. Are you launching straight from launchff7.exe, or are you using some other application or something to run this, such as Steam to launch it? If anybody's familiar with AutoIt, here's the script for the current launcher; I don't think there's any glaring problems, but there might be. As I said before, it worked fine for me, but I'm going to rewrite it for AutoHotKey tonight and upload it, I'd like to know if it has the same problems. edit: AutoHotKey is stupid and useless. It cannot properly read 64-bit mode registry keys when running as a 32-bit application, but if I made a 64-bit version then it would not run on 32-bit systems. Also, the language doesn't make a whole lot of sense, and the syntax is backwards, confusing, and inconsistent. Therefore, this solution is out of the question for now. Hmm, maybe it's not your launchff7.exe, because it started to work, and all of a sudden it does it with both that and the real FF7.exe unless I log out then back in and launch again. I figured it was probably something specific to your setup, since I'm on the same OS as you and didn't encounter this problem on my machine. It's most likely related to some background process you have running. Thanks for taking the time to do create this installer Covarr, it worked great. Just would like to point out that the input/output Winamp plug-in paths are wrong by default. It seems to be looking for them at C:\FF7Music\ regardless the path where you actually installed FF7Music. But then again, that a very minor problem. As for FinalFanTim's job with the music, very good job too. Sounds nice and has none of the problems other custom osts exhibit. the input/output Winamp plug-in paths are wrong by default. It seems to be looking for them at C:\FF7Music\ regardless the path where you actually installed FF7Music. Really? I thought I fixed that two versions ago. Minor update coming soon then, probably tomorrow. Can you put file launchff7.exe to main folder of FF7 on update version because plugin only work with FF7Music when do it. Plugins such as kranmer's speedhack dll work just fine with it where it is. I'm using kranmer's anycd dll myself, and have had no trouble with it in FF7Music's location. Fixed plugin directories, hopefully. Thanks for catching that, Borde and PitBrat! Fix is lazy and untested, so it might need fixed again later. It works. Fixed lzrock93's problem, hopefully. Fix is untestable, because I don't have this problem. Added start menu shortcut for launcher. Most people won't care. Turns out the steam overlay DID work. Sweet. Didn't skip a version number. If you already have 1.51.5 or later working correctly and your antivirus hasn't complained about this, there's really no reason to update. Fix those links son, you've missed a space or something and it's lumped them all in one link. In theory, you should simply need to install it, and run the game from the shortcut it puts on your desktop. In practice, I may have made a mistake setting plugin directories, so you may have to direct ff7music to them in order to get it working. Haven't really gotten confirmation either way if the fix in the last version actually fixed this. edit: I have just tested this and it seems to work. edit: The link on the first post was outdated, because I'm an idiot. It now links to the latest version.